Purple is the combination of the calm, strength and stability of blue, and the fiery emotion and fierce energy of red. It is often associated with royalty, nobility, luxury, power, and ambition. Lavender flowers and light purple flowers specifically are considered something delicate and precious. They are used to symbolize decadence. 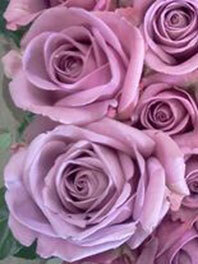 Lavender color flowers communicate refinement, grace, elegance, and something special. While purple is the color of royalty and nobility, lavender and light purples are the colors of femininity. For some light purple ideas, try pink with lavender flower for something very feminine. Minty green with lavender creates a Springtime look and blues with lavender are calm and sophisticated combination for lavender bouquets. Use lavender as a rustic wedding boutonniere for guys or create a simple and wild bouquet of Baby's breath and lavender. Use a single lavender flower to as a elegant groomsman's boutonniere. 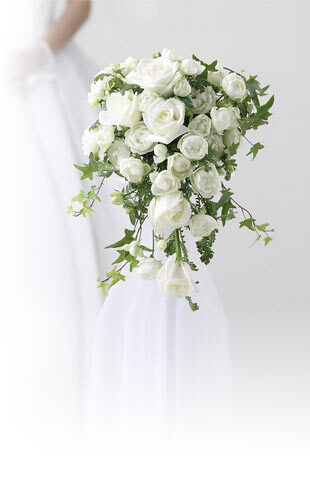 Need help choosing the right flowers? At Flower Explosion we offer hand-crafted lavender flowers for sale in every shade a bride could want. Our exceptional customer service is at the ready to help you with the perfect selection. Grown in the Andes foothills and enjoying 350-plus days our quality is superior and, with no middleman to bump up the cost, our prices are surprisingly reasonable—We don’t offer cheap lavender flowers, just good prices. Buy your purple flowers for sale online today!